So for today’s post I thought I would share the book I’m currently reading. Reading was one of my favourite hobbies when I left school but I kind of fell out of love with it as I started my blog, I started working and just had other things to prioritise rather than reading. Recently I told myself I need to get back into it as I genuinely missed it and I had bought myself a new Kindle but I had also picked up quite a few books from the Charity Shops so I knew I had to start reading again. 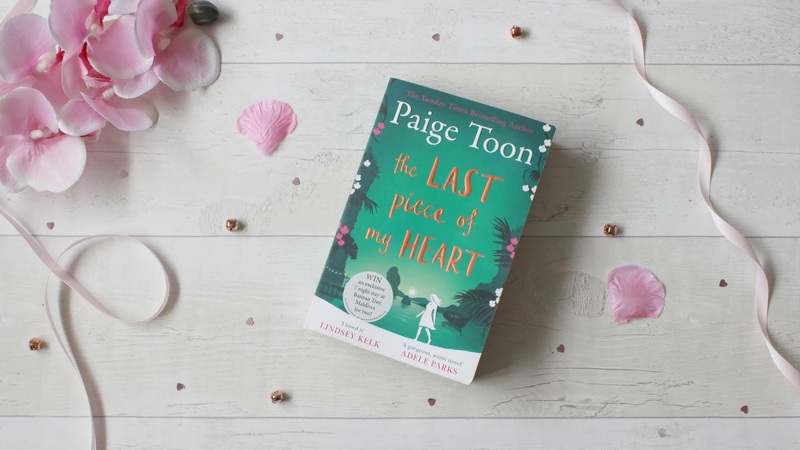 I wasn’t sure what kind of book I wanted to read so I just looked through my bookshelf and picked one which stood out for me which I decided on The Last Piece Of My Heart by Paige Toon as I had always loved Paige Toon as an author and she was definitely one which actually got me into reading as I just adored her books and storylines. I picked this one up in my local charity shop for £2 which I was so happy about! First off the cover is stunning I just adore it as I think the green with the bronzed writing just makes it look so stunning so taking this picture was so easy. The book is probably standard in terms of size but it is 399 pages which when I haven’t read for so long this seems like a challenge for me to finish the book but so far I’m doing well! I’m reading on an evening if I get chance or when I’m in bed and it’s honestly something I look forward to now. So in terms of the story so far we follow Bridget who is an author who has been given a job to ghost write a book done by another author who has passed away and was half way through writing this book. I have honestly fallen in love with Bridget as a character so far as I just find her so relatable and I’m just loving the story so far. I’ve now been introduced to Chris who is the widower and his daughter and also his brother, I feel as though there will be some kind of love interest but I’m just not sure who it will be yet. I just adore Paige Toon’s writing as I can just picture everything perfectly and I think that’s what I enjoy when I’m reading her books. I will of course do a review of this book once I have finished it which I am doing updates on my Goodreads if you’d like to add me on there for my updates whilst reading any of the books I pick up. So far I am honestly loving the storyline and the characters and can’t wait to carry on with it. I feel as though this book has got me back into reading I honestly love it! Have you read this book? If so what’s your thoughts?